Women's increased role in the labour market has combined with concerns about the damaging effects of long working hours to push time-related issues up the policy agenda in many Western nations. This wide-ranging and accessible book assesses policy alternatives in the light of feminist theory and factual evidence. 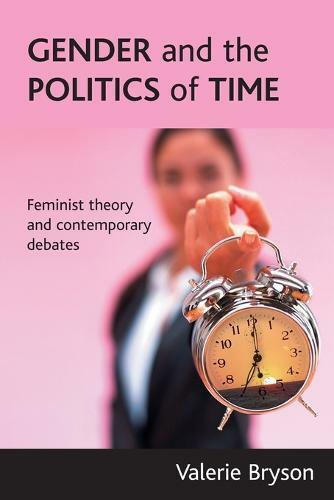 The book introduces mainstream ideas on the nature and political significance of time and re-frames them from a feminist perspective to provide a critical overview of policies in Western welfare states. Themes covered include gender differences in time use and the impact of 'time poverty' on women's citizenship; the need to value time spent giving and receiving care; the social meanings of time and whether we can talk about 'women's time' and 'men's time'; and the role of the past in framing policy options today. The book is essential reading for all those interested in gender inequality, time-use or work/rest-of-life balance. It will be an invaluable resource for students and academics throughout the social sciences.